I am in Sri Lanka again learning about Buddhism and supporting Sarvodaya with her challenges. Many meetings with Boards, Directors and Strategy Groups and in between working on a project proposal for another client to develop over 3000 leaders over the world. The proposal had to be sent in this morning and we managed. It is great to work with people from The Netherlands, China, Brazil and the USA on one proposal while being in Sri Lanka. The time zones are very effective to complete a beautiful piece of work in time. I am pretty proud to be part of (and to have formed) such a team. 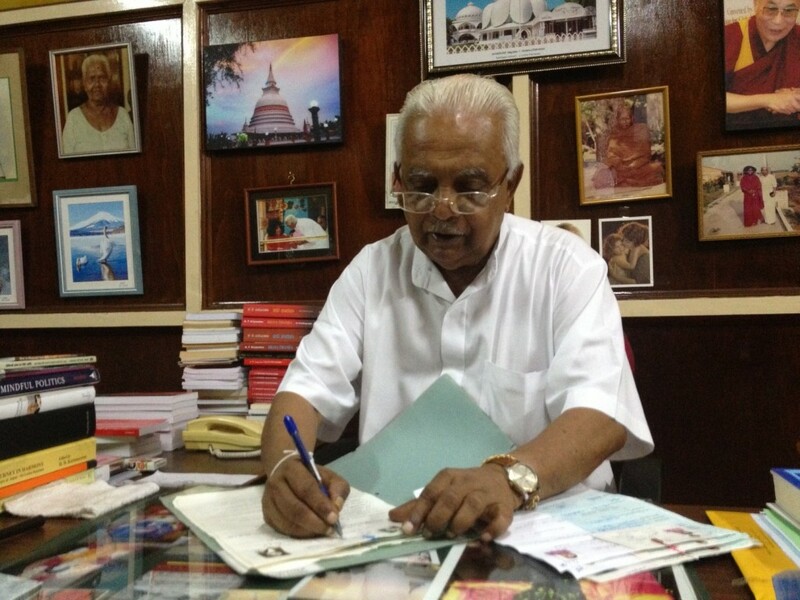 The challenges that Sri Lanka is facing are immense but the resilience of the people is even larger. 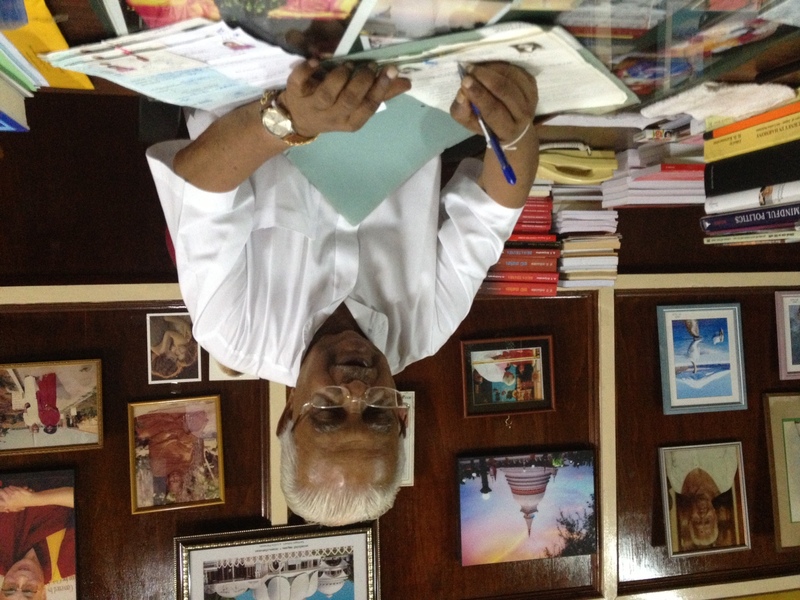 Buddhist wisdom leads Sarvodaya in the form of Dr. A.T. Ariyaratne. He is an enlightened Buddhist although he can’t say so. ‘Hein, a Buddhist who is enlightened would never say so. Those who say, are frauds and find maybe many disciples. I am not enlightened but sometimes indeed I can read you mind. But it’s more intuition.’ It’s more often that he can than that he can’t, I’ve noticed these days. Even when I was myself hardly aware about my thinking he gave me a booklet to read before I went to sleep. And indeed I found a few answers to my questions in it. Questions that I hadn’t asked myself yet. Next to that I presented these days an alternative of the BCG matrix that I implemented 15 years ago at the ABN AMRO bank. This time is on the X axis the financial profitability of the client and on the Y axis how working with the client contributes to the mission of the value based bank. I was pretty happy with this improvement. This forces us to formulate the mission (bring right livelihood for the poor) more concrete. Now we can asses for whom we are working and keep the money in the front of our minds as well. Especially the latter is a bit of a struggle for a former NGO.